To ensure that compounded preparations are made and used safely, published data and suitable testing must be considered. This BUD Databank provides the results of our stability-indicating studies, using our line of dye-free oral vehicles. Through strategic partnerships with renowned institutions, we offer a wide variety of stability data tested in various dispensers and container closures, using both forms of APIs: pure powder and commercial drugs. Beyond Used Date (BUD) studies are an important investment for MEDISCA as they provide significant information on the durability and potency of compounded medications over time. 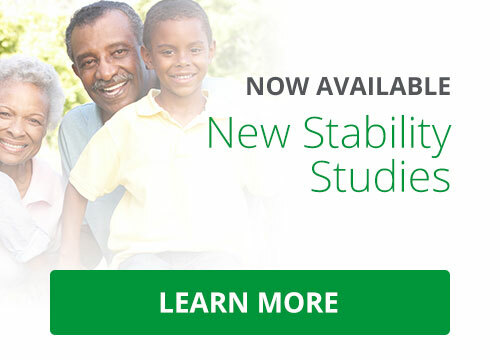 In collaboration with various institutions in the US and Canada, MEDISCA is continuously developing a comprehensive database of stability studies using our topical bases. The databank below releases the results of some of our published studies.